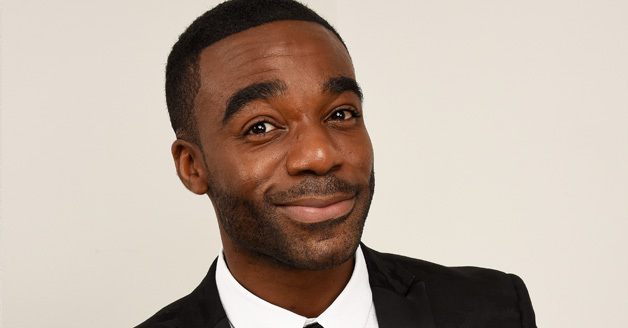 On-air, on-screen and on stage, Ore has established himself as a true all-rounder since winning the 14th series of Strictly Come Dancing. Now undoubtedly one of the industry’s most sought-after talents, Ore’s energy, warmth and charm has seen him emerge as a fan favourite. It launched a new chapter in Ore’s career as he continues to impress with his passion for performing. 8 million people tuned in live on BBC1 as Ore delivered an all-singing, all-dancing Gene Kelly tribute on a record-breaking night for Children in Need 2017. A month later, Ore had the honour of singing at the world famous Royal Albert Hall, headlining the Christmas with the StarsConcert in aid of Bloodwise. From one big stage to the next, Ore made his Saturday Night presenting debut in 2018 as host of And They’re Off for Sport Relief and Sport Relief itself, shortly before a brand new game show for BBC1 hits our screens entitled Hardball. This marks the latest in a burgeoning list of high-profile credits that includes regular presenting slots on The One Show, ITV’s This Morning and BBC Radio 2. Now an established name in the station’s family of presenters, broadcasting to an audience of over 8 million each week, Ore can regularly be heard deputising on Steve Wright in the Afternoons or settling listeners into their Sunday nights as cover for Claudia Winkleman. And Ore’s dancing shoes are never far away. He continues his work from the Royal Opera House, presenting some of the finest ballet productions live to cinema screens worldwide alongside Strictly’s Darcey Bussell. Meanwhile the pair have combined again, along with the other judges, as Ore fulfills a dream as host of the Strictly Come Dancing Live Tour 2018. At home as an entertainer, Ore’s authority and reliability, coupled with countless hours of live broadcasting under his belt, has also seen him front some of the biggest national events, from the Queen’s 90th Birthday celebrations and BBC Sport’s award-winning coverage of Olympic Games in Rio to One Love Manchester for BBC1. The tribute concert for victims of the Manchester Arena bombing was the most watched TV event of 2017. Like many of the UK’s leading broadcasters, Ore’s varied and versatile career began in Children’s television before he was snapped up by BBC Breakfast and BBC Sport. Six successful years based at Manchester’s Media City UK also saw Ore join the presenting ranks at BBC Radio 5 Live. He now lives with his family in North London.